The Italian Futurist Movement (1908-1943) is primarily seen as a visual arts movement, however Futurism concerned itself with all aspects of the arts and culture. The music manifestoes of Luigi Russolo and Balilla Pratella outlined Futurist thoughts on the state of music at the time. P22 Records in association with P22 type foundry presents the first "soundtrack to a font." 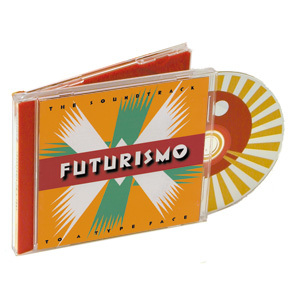 This soundtrack, featuring Tony Conrad, members of Mercury Rev, and others, will serve as an audio accompaniment to the P22 Il Futurismo font set and an homage to the futurist musicians. The disc also includes the DaDa font for use with your personal computer.